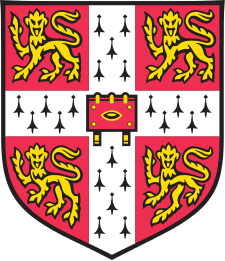 The Wellcome Trust Centre for Stem Cell Research (CSCR) at the University of Cambridge is a research centre for the nature and potential medical uses of stem cells. It is located on Tennis Court Road in central Cambridge, England. 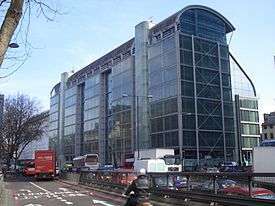 The Centre is funded by the Wellcome Trust and the Medical Research Council. The main areas of study include pluripotent and neural stem cells, as well as epidermal stem cells. Key advances in stem cell science at the centre include the elucidation of the role of the nanog protein in pluripotency and work on inhibiting cellular differentiation. It also conducts human embryo work as approved by the Human Fertilisation and Embryology Authority. ↑ "Incredible discoveries hint at wonder of scientific mysteries yet to be unravelled". The Times. London. May 10, 2008. ↑ "Skin - the key to medical cures?". BBC News. July 24, 2010. ↑ "Scientists uncover secret of eternal youth". The Daily Telegraph. London. May 23, 2008. ↑ "Wellcome Trust Centre for Stem Cell Research". Retrieved November 13, 2009.